The Durham Miners’ Association Brass Band was formed in September 2009 by the amalgamation of Broughtons Brass Band and Hetton Silver Band. 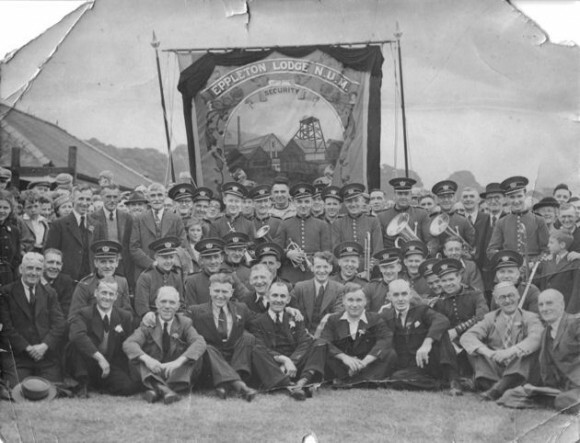 The name reflects the longstanding association that Broughtons Brass Band has with the Durham Miners’ Association and previously the Durham Area National Union of Mineworkers. The band performs annually on behalf of the Durham Miners’ Association at the Durham Miners’ Gala and the Thomas Hepburn Memorial Service. We’re a very friendly & welcoming group both musically & socially.